white pine and red oak timbers milled from logs cut from client's woodlot, mostly from logs salvaged from a destructive microburst event the previous fall. 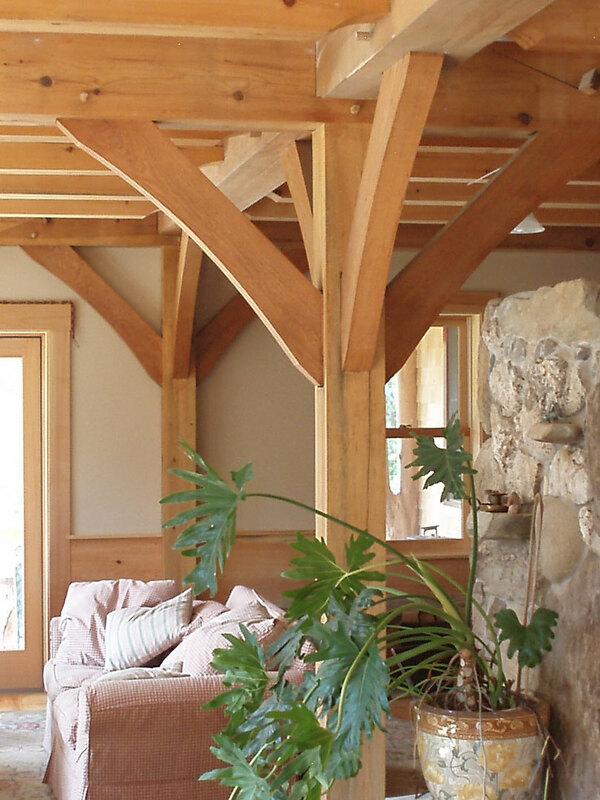 collar ties and struts are composed of curving live edge oak also from property. 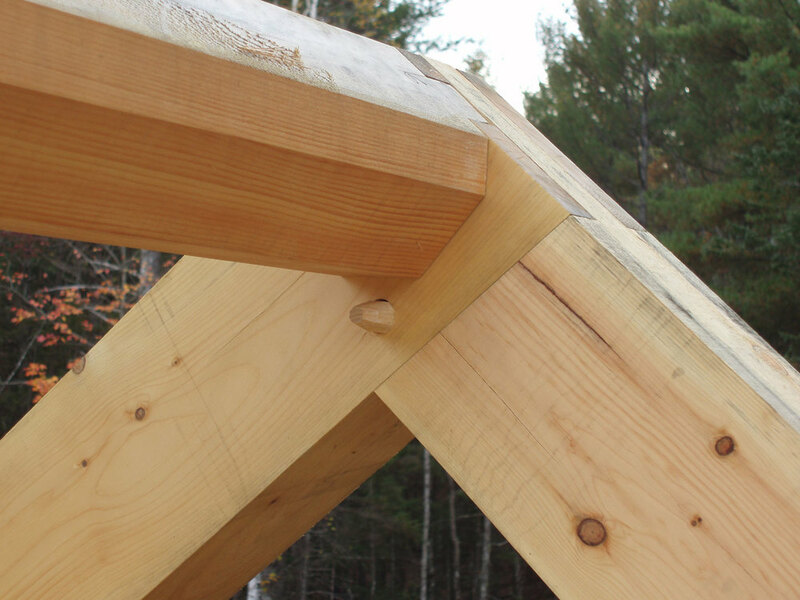 porch posts cut from peeled white cedar logs with multiple tops, and inspired by a log house on the same property built by the client using peeled logs with branches retained and incorporated into structure.